Birds chirping, the rose pedals illuminating the atmosphere with it’s beautiful smell, and the crunch of the ground. Imagine taking a hike through a vast wilderness with the fraction of light peeling through the tress and mountains glazing over you, and the sounds of leaves chiming right past your ears. Now imagine the same scenario, but with back pain. 30 minutes into your adventure, you feel a rush of ache and pain in your lower back. You keep pursuing forward and think that it’ll go away with every step you take, but it sits tight, and doesn’t go anywhere. Back pain is something every person will experience at least once in their lives(over 80% to be exact). Learning how to hike with your lower back pain will help you still enjoy your next hike, and be transparent in helping your prevent it. I know far too well what it means to hike with back pain, but asks me if it stops me. 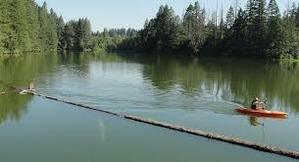 I’m surrounding by eye gazing nature, and majestic landscapes here in Washington, it’s only wrong that I call it quits. If I didn’t prepare beforehand, and manage it during my greatest hiking moments, I’d seriously be sitting at home wondering what if. What About After your Adventure? If you could wave a wand around your back to cast a magic healing spell and it worked, who wouldn’t try it right? Unfortunately, there are n magic tricks to preventing yourself from having an aching back. However, there are some pretty useful things you can do before and furring your hike that will help you greatly. Speaking from experience, one of the most important parts of hiking is having to prepare your body for it. If you’ve never hiked nor exercised, trying to complete a 1500 ft elevation and on a 10 mile trail will end in ba-ba bad! Really, bad. Luckily, with my trails and tribulations, I promise to not let that happen to you. Here are the 11 action packed tips on managing back pain with your hike. …And that’s not to leave put your spine. If you’re muscles are tight, you’ll experience a cramp or a slight muscles spasm that’ll eventually cause your legs to buckle. The spinal cord is made up of a complex amount of muscles, ligaments, joints, tendons, tissues,and bones. Regular stretching will keep your muscles loose while lessening the impact and pressure on your joints, therefore increasing the blood flow in your body. During your hike, if you feel the need to stretch, make sure to find a flat and level surface, and you can use a tree or your partner for holding you stable if need be. And remember, after a high-impact activity like hiking, don’t forget to stretch when you’re done. Whichever exercise and workout you do, it should be tailored to your needs and unique capabilities. A good workout program will include safety, abilities, pace, and your consideration for your symptoms. If you have severe chronic back pain, it’s best that you stick to low impact activities such as walking, and or swimming. If you have more mild acute lower back pain, you can proceed with regular exercise, just be aware not to go full throttle from the start. If you haven’t tried yoga out, I want you to pause what you’re reading, look over at your URL search bar , type in YouTube, and search, yoga for beginners. You’ll be amazed at the results and endless possibilities you have to heal your back. A suitable backpack is the difference between going home and continuing the good fight. Your backpack is the first pit stop to address if you’re hurting from lower back pain on your hike. Have to heavy of a backpack and your spine and non-specific lower back muscles(non-related to your spine) will fall underneath you. The best thing to do is to eliminate useless weight. The shape of your backpack should not be over arched and you don’t want to be leaning forward with it either. I know as a hiker and someone who likes to camp, it’s easy to fall in love with the “more the merrier” concept, so we get those large over our head bags, and oh how we love to over-pack. 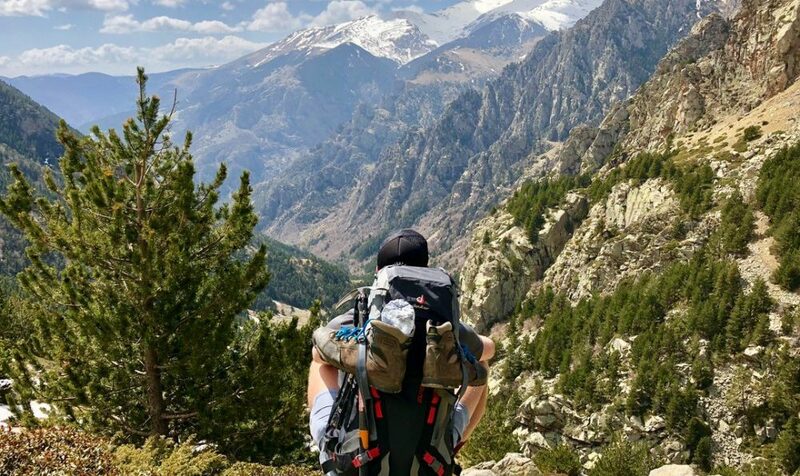 Hiking with your backpack might feel good after the first couple of miles, but be aware that as you go through the main course of the hike(with bumps, turns, and inclines), you’ll begin to feel your symptoms. What you cover your feet with comes down to a small margin. You always want to have a good pair of shoes or boots on you when you’re hiking. Those old worn out shoes in your closet might be the reason that’s causing your lower back pain. Wearing worn out shoes may mean that your soles are in bad shape. The soles make up the bulk of your shoes, and is the extra layer of padding between your feet and the hard ground. Speaking in Kinetic energy, when one part of your foot moves, the other moves in relation to it, and describes how your muscles and joints work well together. In English, It means one part of your body affects the other parts of your body. Your shoes are the start of this kinetic energy, and if you don’t have the right soles, durability, and arch, it’ll certainly lead to you having back pain, or cause it to worsen. Make sure to always use a good pair of shoes that will support your movements, and where you can get a good arch. Creams will work absolutely great f primarily your muscles, but also work well on your joints, whether it be mild or painful symptoms. I highly advise to re-frame from using pills, as they can cause side effects while you’re up and moving, but something as light as ibuprofen can be helpful in moderation. Using anti-inflammatory doesn’t mean it will completely eliminate your back pain, but it will lessen the pain, and make your hikes more reachable and enjoyable. The #1 cause for back pain is not an injury, a fall, or a twist or turn, believe it or not, it is a lack of posture. Poor posture will prevent you from keeping your back straight when you hike. And in most cases cause Sciatica. If you’re hiking upwards with poor posture, it’ll be tough for you to keep your back upright, and instead you’ll be hunching over, causing your spine to curve and place a strain on your disc and hips. On the other hand, having good posture will prevent back pain and future episodes of it. When you are standing up and walking, your back should be straight, shoulders back, your knees slightly bent. A person with good posture will have a mi of a balanced back, and a straight aligned spine. You can work on your posture throughout each and every day, and maintaining it is just as important so don’t stop once you reach it. Carrying the right load is as important as having the load centered on your back. If you’re carrying a backpack it’s important that you have the heaviest weight closest to your back. This will help keep the load stable and keep you from bending backwards or falling on your sides. Just think about it, If the heavy weight was towards the outer side of your back pack,by gravity and force, it will push you backwards or cause you to tweak to one side more than the other. Research shows that trekking poles will reduce the pressure in your joints, back, while limiting tear and wear on your back. Trekking poles are very helpful for terrains that cause you to cross waters, rocks, and rugged terrain. The last thing you want is waking up with an achy and painful sore back. Let’s face it, sleeping on the ground will not be an option, and truthfully, not the most comfortable place to lay on, especially if there are sticks, leaves, dirt, and rocks. Adding a sleeping bag or pad will help you substantially. If you do suffer with back pain, there are ways to transfer that pain away when you lay down and get some much needed rest. I’d pack a pillow with you. At all cost, avoid sleeping on your stomach if you can, it can aggravate your spine, and cause a greater chance for aches and pains. By a meal, I do mean snacks. After all, will you highly likely be busting out a first course entree meal on your hike? Likely not. If you have back pain that just persist and is more in its chronic stage, you should focus on preparing healthier snacks. Healing foods will do more for you thank you probably think right now. You’ll know your terrain. Knowing your environment will help you better understand what lies ahead in your walk. There could be extra dirt, trees, many climbs, and large downhill turns. You’ll also know how to dress and pack for the journey ahead. Let’s say you had a couple miles to walk vs 7-9 miles, this a huge tall tell sign that you should pack extra medical equipment vs accessories that are not required. You will know what the weather forecast for that day will be. The weather is a large component in your hike! Lets say you were walking through rain for example. The ground could get muddy, and cause your motions to slow down, and force unnatural and unnecessary movements. If it were clear or sunny out, It will be 10X safer to hike in than having a landslide of water coming at you before you knew it. 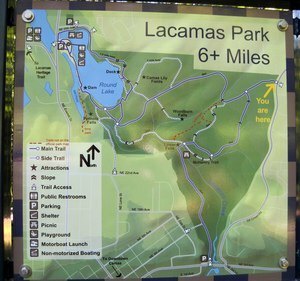 It’s called Lacamas lake as you can tell, and it’s a true beauty to look at if you ever get the chance here in Vancouver, WA. Although I’ve hiked through many other terrains, this will always be the place I resign-ate with the most. You think this would be a hiking article with just doing your part before and during a hike? Heck no! I want to make sure you leave the way you started, in great health, and even better if you’re feeling like a muscle, joint, or more specific spine pain is hurting you. After you’ve succeed pushing and powering through your hike, you need to let your warrior inner self settle and relax for a bit. Make sure you drink some water to replenish the nutrients that you’ve lost, and to get your spinal disc all the water they need to increase lubrication around your facet joints and your vertebrae. This is really important because water alone will allow for your muscles and joints to stretch. In this alternative option, if you’re feeling like you need to add on extra relief immediately, what you can do is have a cold and hot pack ready. What this does is, the water reduces your swelling and heat will promote better blood circulation to your area of pain. It’s similar to a pain relief cream, but without the need to stock up on over and over again. But a pain relief cream will be the second alternative to a cold and heat pack. Whether it’s your muscle or joints, you can find the right pain relief cream for you here. This is a plan that I’m way too familiar with and it is the one when I get home. We’ve covered what to do right after your hike-like seconds and even minutes after( when you’re in your car, sitting down, etc). But what would it look like on your ride home and once you are at your place? create space in your vertebral disc, so you don’t have to worry about feeling pressure in and around your spinal nerve. You get to align your spine, so by the time you get to your next part of the day or night, you’ll be feeling great, and there will be no achy back to worry about. Or you can use both at the same time! I like using both at the same time, but over time, I’ve been just used to favoring the back rest over using both. If you’d like to see my article on the right back cushion, click here. And if you want to learn more about bottom seat cushions, check out this article for more information on all the best seat cushions, or you can simple view the review of the one I have here. Good job, you’ve done your best with having a bad back, and now you’re back safe and sound in the comfort of your own home. Whether you had time to fix your back on your ride back or not, there are something you might want to do to treat your bad back. Why? This is a great alternative to using pain medication. If you use the right cream to get to the root of your cause which is inflammation, you’ll have success at having less and less of inflammation over time. A do it yourself massage is a great way to bring down your stiffened muscles and improve your mobility in and around your home. Check out how I massage at home here. And according to the Spine-Health Institute targeting the right muscles can help you correct your muscle tensions and strain. It’s been a long day out on a hike and you want to do is rest right? This will not be smart, especially if you have hours still left in your day. What I like to do when I get home is do a simple light yoga stretches to improve my flexibility, muscle strength and give my bones, muscles, ligaments, joints, and tissues the support it will need for the next day. It helps to not have achy muscles the next morning right? I’m one of these people who likes to sit, a lot. And I had to adjust ergonomically for it. That’s one of the largest reasons I had to by myself a seat cushion, so I can sit for longer hours, and not have to worry about my spine being in any pain what so ever. My favorite use for them are at home, especially during the night. I find that before sleep, the delightful smell with its therapeutic healing, helps not only calm me down, but get me through the night. You can learn about essential oils in my article here if you’d like. For more information about treating your bad back at home visit our how to at home page here. The reality is that back pain can stop you from taking any actions, but it doesn’t have to stop you from hiking. Back Pain comes in a ll different shapes and sizes, and everyone will feel it differently. Managing your own back pain starts way before you take a step into your hike. You should be mindful of your surroundings,know the landscape, and prepare for the environment in which you’re taking your next adventure to. I love hiking, especially here in the great pacific northwest. It’s a great way to clear your mind, and just escape from it all. I hope that these tips and experiences from me have taught you something, and that next time you take your next hike, you’ll be indestructible. If you have any questions, or if you would like to reach out to me about anything, please leave me a message below. I’ll make sure to get back to you right away! I think that finding the right backpack is so useful for anyone – especially for someone that experiences back pain so, that’s great that you mentioned it. I did some backpacking through Europe and I used the backpack that I had when I was in high school and I definitely was feeling the pain from it. Also, footwear is super important. I used to be a waitress and would wear flats all of the time – because they went with my outfit and they did nothing good for me. My feet would be killing me by the end of the day and so would my back. It took me some time to actually find a decent pair of shoes. Anyways, great tips in this post here. Thank you! Yes, I will agree with you that the right backpack means much more than we know. We take that for granted, and when we fee the slightest amount of pain, that’s when we really pay the price. The next day we’ll wake up with a sore back and in most cases more pain then we would of wanted. The thing about backpacks are that when you hike, you’re usually going in different directions, so one twist, turn or pull with especially a heavy bag, will cause a whirlpool of pain. The good thing is that you learned from your backpacking in Europe, which I think is cool you did by the way. I had to learn the hard way too. Flat footwear will definitely do it for you. I know that appearance matters, and even for myself and the guys I can say we seem to go for what looks good rather than what does the job. It’s essential to throw on a pair of shoes you maybe don’t use all the time, but they are there for the rough terrain and climbs of a hike. I appreciate that, you are welcome. As you get older, back pain is something a lot of us just have to get used to or rely on drugs, which I don’t like doing. Day hikes are for me, but my Backpack and footwear was my downfall – I did not have the right fit! Great informative article with lots of tips. Absolutely, as we get older and I’m in my later twenties now but it once was a big deal having to use and overcome the use of drugs. But yes, as we age, it becomes more of a dependency than it is something we need. Our brains opioid and painkillers receptors latch onto the chemicals in the drugs and put us under the impression that we need more of them. Day hikes are nice, those seem to be my favorite. I like to get out of work and whenever I have the chance, get out on my own. Oh really? If you’re carrying a backpack it’s impoetant that it’s fitted correctly and it’s not dragging you back, just as well as having the right footwear. I’d prefer hiking boots or great tennis shoes with arch and sole support. Thank you! Surprised to read about that part of the content about everyone experiencing some form of back pain in their lifetime! It is true that some people get back pain due to inflammation. I think that once you have the right mindset you can overcome any pain. It was an great article. It’s still surprising for me to see and hear every time too. I know, it sounds like a fair take, but that’s the reality we are faced with. No matter how small or large, a Back Pain disrupts too many of our everyday activities. Inflammation is generally the #1 reason rather than it being a mechanical one, but it can turn greater if it’s not managed properly. You are correct, the right mindset will get you over everything, no matter how severe the pain is. It’s just being aware of your options and knowing that there’s someone or something by your side to help. You are welcome, thank you! I feel Exercising is key. You have to have the stamina to truly have a great hiking experience. I’m glad you brought up exercising, it’s is definitely one of the top elements to prepare for before going on a hike. No matter if it’s a short or long hike, it’s qll the walking up, down, and around that gets exhausting, so having a couple workouts with stretching will go a long ways! I couldn’t agree with you more, I’d dislike it if I had to stop and go back. Thank you! That’s a great and funny experience you brought up haha. I bet that really made you think about the next time you go hiking. I’ve been there too, we like to eat, what’s wrong with that right? Oh, but it can be a disaster if you eat too much and have to get moving while hiking. It’s even worse with back pain, that will not sit too well. Thank you for sharing your funny experience with me today. Hiking is a great time right? Now that the winters coming up, I’ll be doing less of it around here, but it’s never a bad time, even with the aches and pains, I’m always up for it. Poles are, I agree. They help stabilize you and maneuver you through tough terrain. Oh really? Most definitely! You have that correct. Our core strength is important to lessening our back pain, and if we can give our spine a break, then I’m all for it. Thank you. Hi Michael. As with any physical activity, hiking is a lot easier for us if our body is in good condition. I attend regular yoga classes to help my body remain fit and supple and this prevents the muscles from locking up in pain during prolonged periods of exercise. All of your tips are good, and of equal importance are having the right shoes and backpack for your body size and weight. many thanks for sharing, and you have reminded me that it is well and truly time for me to go for another hike in nature. Cheers. I couldn’t agree more, we have to prepare our bodies for the conditions, and when it’s not ready, it really shows. There’s no way to cheat it. I’m happy to hear you are doing yoga,there’s no better way to relax your muscles and strengthen your flexibility. The right shoes and backpack really make the difference on a hike. I would rule going against using a backpack for anyone who is not sure what to take with them…if you go hiking with someone else, let me help out with that. Footwear is vital, there’s no close substitution for proper shoes. You are very welcome, get on out there and have yourself a good time. Your article is very informative. I like that i’ve learned things that i would have to do to avoid back pain. This really helped especially that i also like hiking and bringing back packs. I tried to make it as helpful as positive and I think that adding what to do before during and after will help keep a bad back away for good. Preparing for a hike is alone the largest adjustment to make because it can be the difference between worsening your back and fulfilling your hike completely. There are so many people I know and that I talk to that forget all about preparing and by the time they get out their, within minutes their back gives us, seriously. I’m happy this has helped you, and I’m hoping many others can take a note or two from it. Bringing a backpack is a great choice of gear and it’s almost a necessity. It’s just all about packing it right and having the right type of backpack on you. Thank you very much! Thanks for this helpful article. Having had a microdiskectomy (sp?) a few years ago, I am sadly well acquainted with back pain. I think that all of your tips are excellent. I especially know that having the right shoes and walking poles can make a huge difference. Invest in a good pair of hiking boots. This is not a place to cheap out on. It will be a huge difference maker. The walking poles help distribute the pressure to your arms and decrease the load on your back. Make sure you get the right size poles. I will implement some of your post hike recommendations next time I go out there! Oh really? Yeah, that will do enough to cause you pain. The positive takeaway is that you know enough to understand your pain, and make the right necessary adjustments. Like you said, having the right shoes and trekking poles will make all the difference. I know that far too well. I used to take my vans as a late teenager and that would hurt so bad. There was never not enough cushioning and arch support for the hikes. Thank you for sharing! Interesting post and many great tips that I truly appreciate considering the back pain I personally have to deal with everyday. You are very welcome! 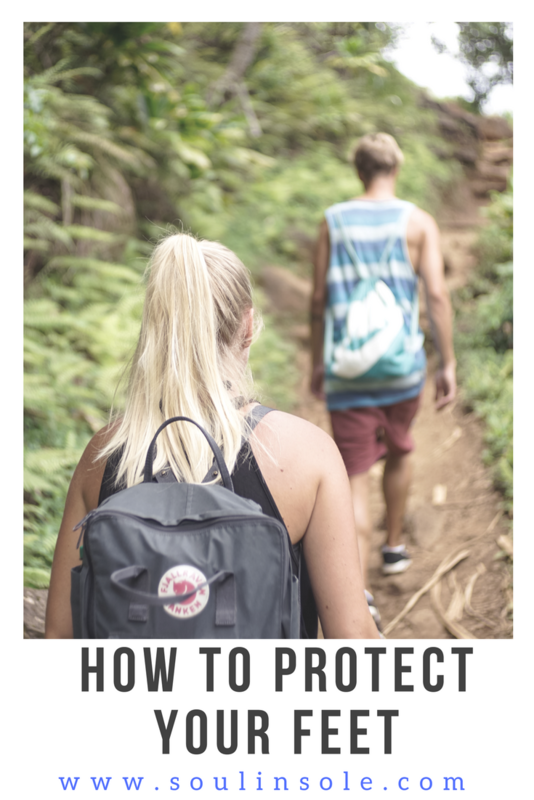 I wanted to make sure I covered every tip possible because hiking with a bad back is very important and you can’t just cover what to do during the hike; everything has to be covered. Thank you! Great tips on managing back pain, I myself suffer from chronic back pain but never do I let it stop me from doing what I want. Stretching is one of the best ways to minimize back pain by far! Having a fully supported backpack that is evenly weighted will make a world of difference when hiking, i’ve used low quality back packs in the past with bad results. It’s great to see someone helping others manage their pain by providing the answer we seek. Thank you very much for this great write up and i look forward to reading your next one. I’m happy to hear that chronic lower back pain doesn’t bring you down. It’s easy to at first, but overtime it becomes easier to deal with. Stretching will help very well especially when you can do it before you head out to your hike. Stretches that target every area of your body is what you want to shoot for every time. I always emphasize that quality over quantity is a must. I can relate that having a bad backpack can mess up your back pretty good. I used to take my college backpack with me everywhere, and that made me realize that I need to do, which was get a better supportive one. Ofcourse, you’re welcome! Thank you.